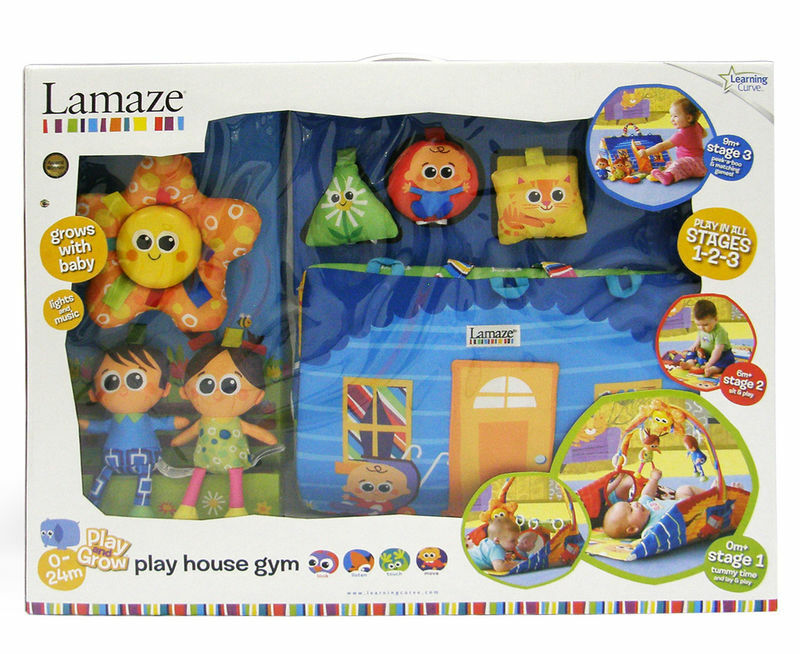 The Lamaze Playhouse Gym grows with your child through four unique transformations. 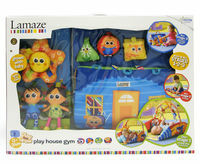 Gym play modes include a "lay and play", tummy time play, "sit and play", and a soft playhouse for role-playing. 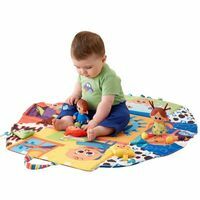 Gym mat is reversible and has discovery activities. 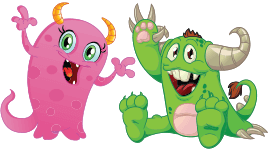 Additional activities include a lights and sounds travel mobile, soft beanbag characters, soft shape characters, and a set of links. When finished playing, the gym folds up for easy travel or storage. 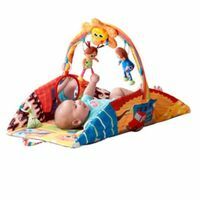 Cushioned playmat quickly folds to create an engaging environment with soft side walls, perfect for tummy time! Attach musical flower to a carrier bar for on-the-go fun!